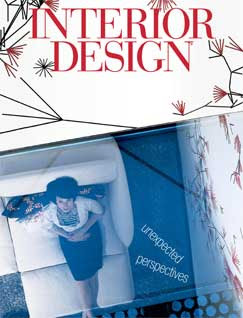 This has to be one of my favorite covers of Interior Design so far! Shot by Eric Laignel, the photo is of Patricia Urquiola's Moroso at Moss store in New York. Also, I have to highlight a piece from Cindy's editor's note: "... thought is not replaced by habit, soul by convenience, and spires by gables." For some reason this thought resonated with me.